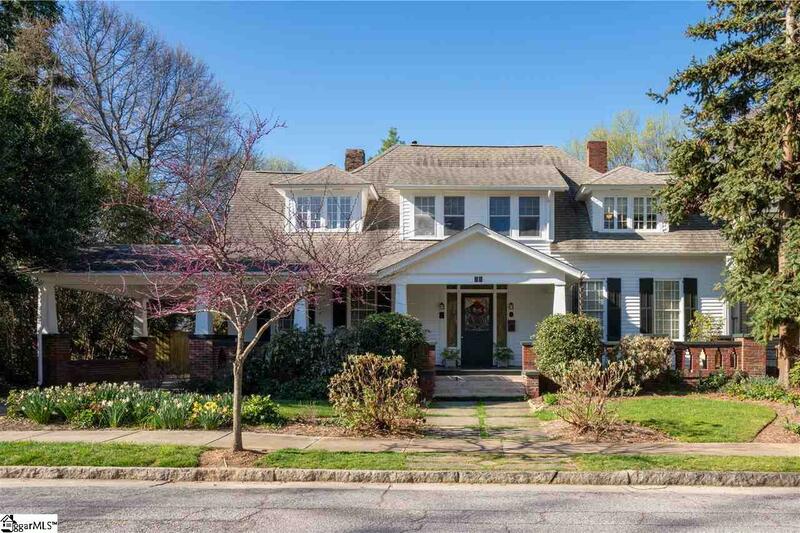 Lovingly restored and renovated by its current owners, 21 Pinckney Street, known as the W. P. McBee home is one of Greenvilles oldest and most historic homes. 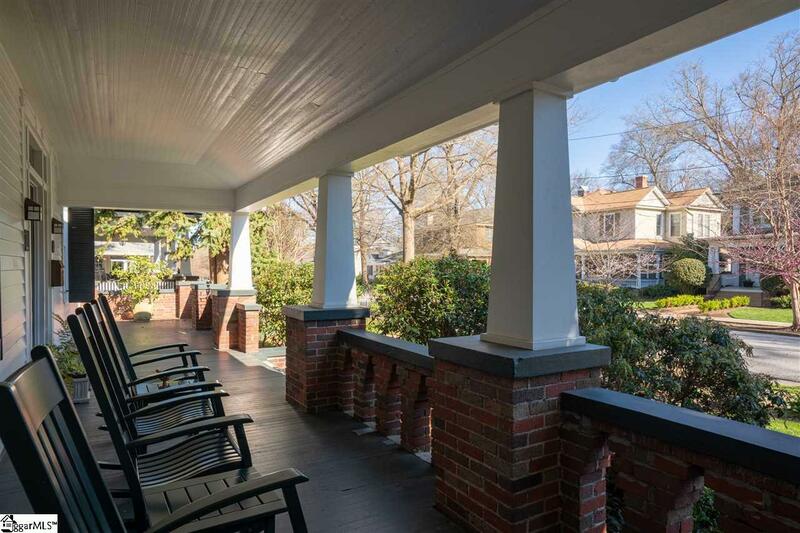 Located in the historic Hampton-Pinckney neighborhood and home to Vardry McBees son, William Pinkney McBee and his wife, Harriet Butler McBee, the house was originally constructed in the early to mid 1830s. 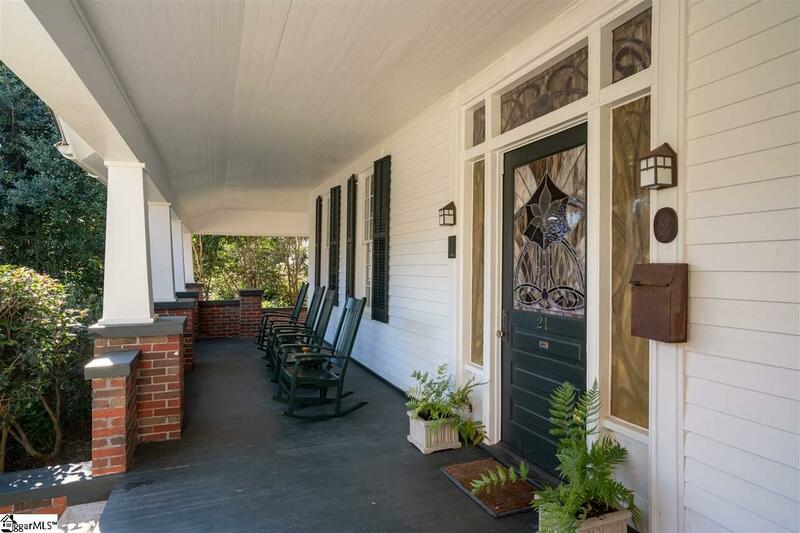 Gracious and inviting with a porch (52 x 10) that spans the front faade, you will fall in love with the many special details and additions that combine to make this a-once-in-a-lifetime opportunity. Inside the stained-glass front door is a wide (36 by 12) foyer providing a welcoming central hall, great flow and carrying light throughout the interior. 10 ceilings, heart pine flooring and spacious rooms are featured throughout the main level, along with fireplaces in the living room, dining room and downstairs office. Located across the back of the house and taking advantage of the many windows and views of the landscaped grounds, is an updated kitchen and a family dining room. Also on this floor is a large guest bedroom and bath, plus laundry and storage facilities. Upstairs are three generous bedrooms, including the master bedroom and its bath which features his and hers closets, a Jacuzzi tub, separate shower and double lavatories. 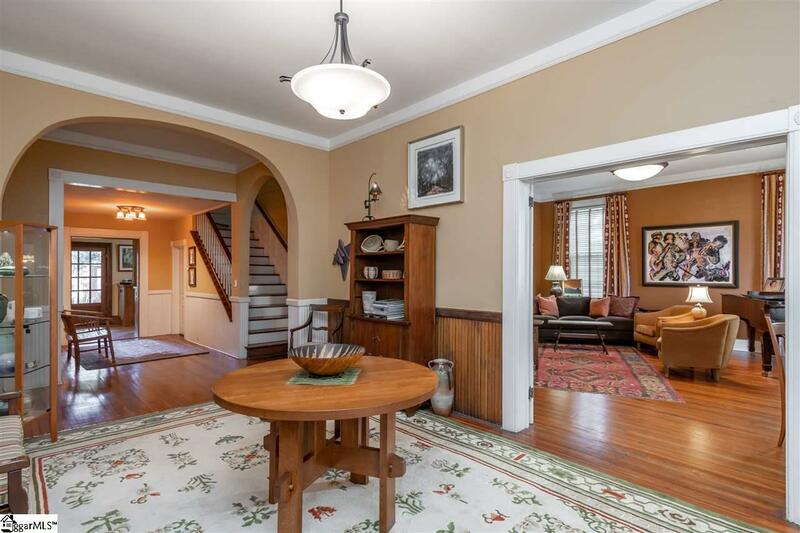 Additionally, on this floor is a family/TV room and a small screened porch overlooking the back yard. Certified by the National Wildlife Federation as a Backyard Habitat, the back yard paradise includes a custom pergola and patio, a stone water feature, and is populated with dozens of native plants. An easy walk to downtown, the Peace Center and Heritage Green, Hampton-Pinckney and 21 Pinckney Street are in the perfect location for your new home.